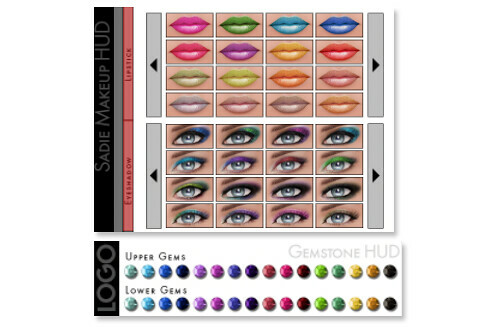 LOGO is at Skin Fair with a new makeups for Sadie! The Glitter Collection Add-on includes lipsticks, eyeshadows, and eye gems. Load the scripts by rezzing the main HUD on the ground, then drag the scripts (in your tone) into the contents tab. The eye gems are a separate HUD, so you don’t need to do anything for it to work. Loving your icon! So pretty!